We have an in-house team of experienced packging design experts. Our knowledge and expertise are here to design the perfect protective foam packaging for your product. Quality prototypes are created so you know exactly how your packaging will function prior to full production. Our prototype design services is completely free with all production orders. Yes, free design and prototypes! 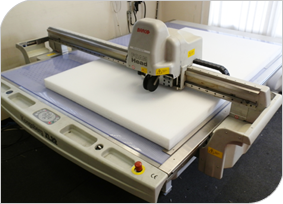 We are so, proud and confident of our services, we offer a completely free prototype service of your foam packaging. Simple contact us today to find out more. An in-depth analysis of your packaging needs will be carried out, including; shipping environment, product dimensions, product fragility, climatic conditions, handling and storage, htackability, ease of packing, transport yield, re-usability and validation & testing. Call 0800 228 9883 to arrange your FREE packaging design appointment.